The Sedlec Ossuary, Czech Republic | 14 Cemeteries That Will Scare You Out Of Your Skin! 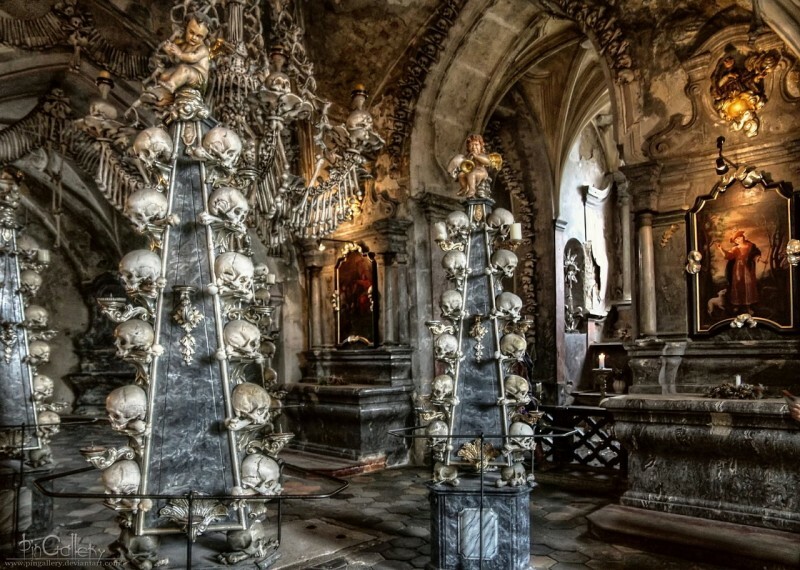 The Sedlec Ossuary, also known as the Church of Bones, is a small unusual Roman Catholic chapel located beneath the Cemetery Church of All Saints in Sedlec, Czech Republic. It is artistically decorated by between 40,000 and 70,000 people human skeletons.